Drivers-Licenses.Org is in no way or fashion affiliated with any federal or local governmental agency or offices. If you are someone who has routinely purchased cars in the past, but are now questioning whether or not leasing a vehicle is for you, you’ve come to the right place. Here at Drivers-Licenses.org, we encourage you to weigh all of your options before signing your contract. 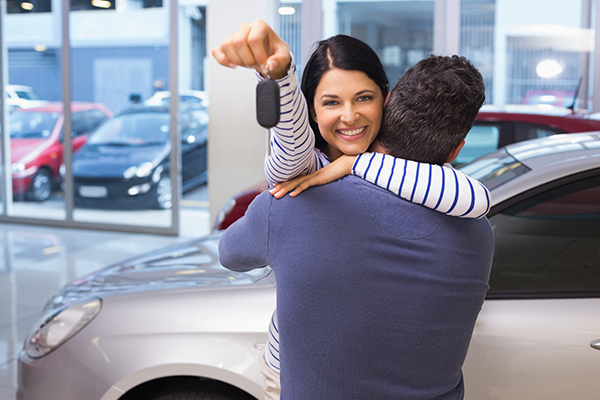 We know that buying a car may seem like the best move, but if you don’t have the money to make a long-term commitment, or you aren’t 100 percent in love with your new vehicle, leasing may be your best bet. Below, we examine five reasons why you should consider leasing your new car. One great thing about leasing a vehicle is that, if you decide you absolutely love it and cannot part ways with it, you will have the option to buy it outright, or finance it at the end of your lease terms. And, as per the experts at Drivers-Licenses.org, the best part is that you have years to make this decision! The Drivers-Licenses.org team has found that leases make drivers feel like they are not financially tied to their cars. As such, there’s always an end in sight. What this means is that, if you end up hating your car, getting sick of it over time or finding yourself spending hundreds of extra dollars for unexpected reasons, you can begin the countdown to your lease’s end. And, sometimes, dealerships will accept cars back even a few months early if you are ready to close the deal prior to your lease’s end date. If your new car is just a means to an end, and is not your bucket-list vehicle, you can rest assured knowing you will have no attachments to the car. If you are simply using this car to transport yourself from point A to point B and really feel zero attachment to it, you can say “sayonara” when your lease termination date approaches, and never look back. Even though your lease contract may include a lease termination payment when you return the car, the best part about that day is that you can wipe your hands clean of the vehicle and hand over your keys. Essentially, the vehicle is only your responsibility for a few years. Then, it becomes someone else’s responsibility. If you are not too passionate about your lease, you can sign the contract and – from day one – start saving for your dream car. On the other hand, if you buy a car, and three years into your contract, Mercedes-Benz finally releases an affordable model you love, you’ll be stuck driving around your current car until you can figure out a way to sell it. With a lease, it’s one and done, and onto the next one!